There’s a whole range of emotions that go with pregnancy. The thing I found myself sobbing over the other day though was the fact that it means I’ll still be able to keep enjoying picture books with my kids. It’s a stage of parenting that I love. Little Miss C is definitely an independent reader now and somewhat beyond picture books. Master C though is still a huge, huge fan and usually chooses a couple every bedtime. Books like The Secret Sky Garden are ones that I particularly love though. The messages in them are just perfect. Funni loves playing in the old airport car park. She goes there most Saturdays and either takes hire kite or recorder with her. She loves watching the planes take off and land. She’s learnt to imitate the notes from the tannoy system in the airport terminal on her recorder. She loves looking out over the city. In that beautifully innocent way that only a child could, Funni decides to make a difference. Over the weeks she turns that disused car park into gorgeous garden. She tidies up, plants flowers and creates something really, really special. One day Zoo is flying into the airport and spots the garden from the aeroplane window. He decides that he needs to find the garden and visit and that’s exactly what he does. He finds Funni and the beautiful world she has created. They fly kites together and he also brings his harmonica to play alongside her recorder. 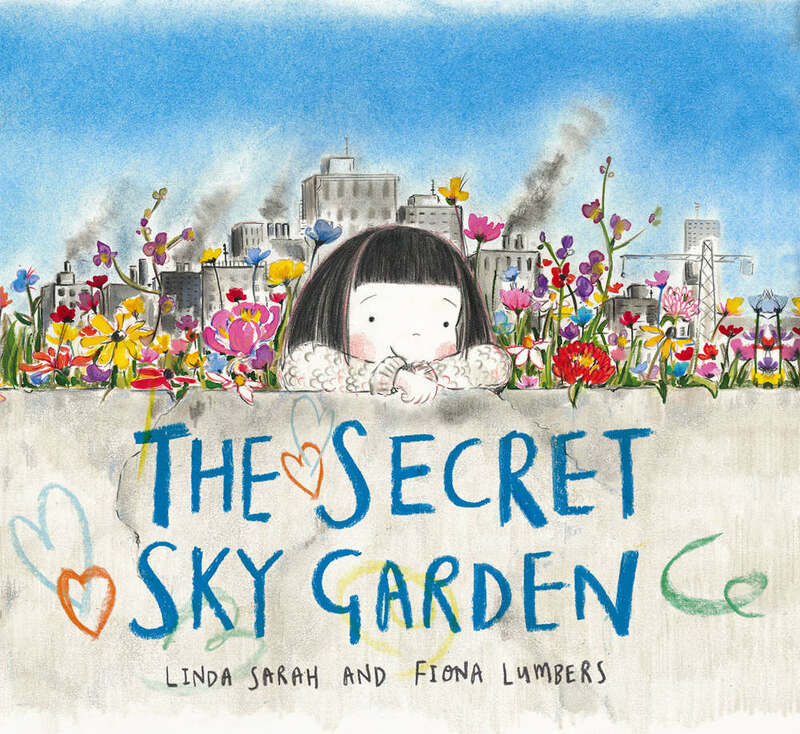 The Secret Sky Garden is one of those books that really can only be described as beautiful. Linda Sarah’s story, combined with Fiona Lumbers’ gorgeous illustrations are the perfect match. Just like Funni and Zoo. It’s beautiful to see a book celebrating the environment, kindness and friendship like this. It’s the perfect launchpad for a discussion with children about how we can all make a difference in life. An important message for everyone. The Secret Sky Garden. Written by Linda Sarah and Illustrated by Fiona Lumbers. Published by Simon & Schuster on 28 June 2018. Paperback £6.99 ISBN 978-1-4711-1926-2. Available in bookshops and online. Disclaimer: We were sent a copy of The Secret Sky Garden for the purposes of this review. All opinions remain my own. This post contains affiliate links.